Where’s Canada’s Human Rights Ombudsperson? 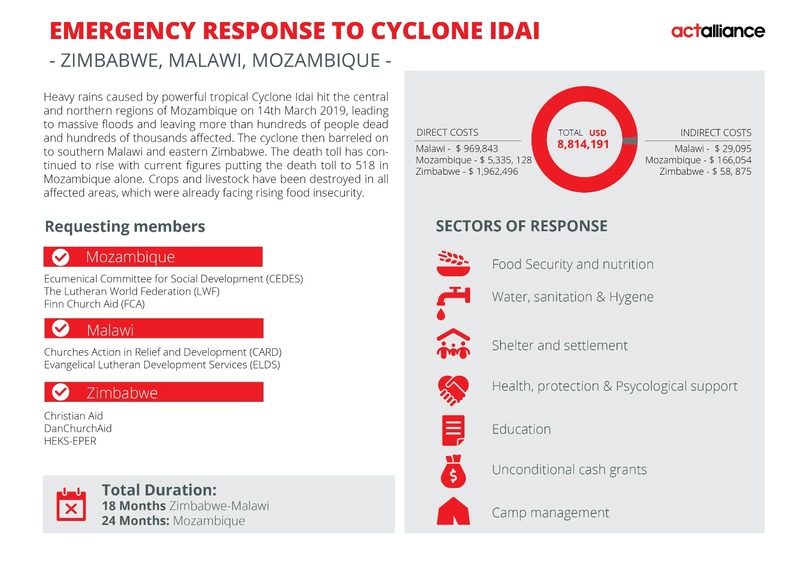 Thanks to your generosity, as of April 17, 2019 the Cyclone Idai appeal has received just over $124,000 to support Mission & Service partners who are responding to this crisis in Southern Africa. A woman regards the devastation caused by Cyclone Idai. Cyclone Idai swept through Southern Africa in March 2019, leaving terrible disaster in its wake. Hundreds of thousands of people in Mozambique, Zimbabwe, and Malawi are in immediate need of food, water, and shelter. At least 830 people have been reported killed by the storm, and a cholera epidemic is feared. With more than 120,000 people displaced, Idai is one of the worst weather-related crises to ever affect the African continent. United Church Mission & Service partner ACT Alliance, together with local partners, are working on the ground to provide immediate assistance and ensure that the needs of the most vulnerable are met. The infographic available under Downloads, below outlines priorities areas of need for ACT’s response. Many United Church people have also generously given to the Canadian Foodgrains Bank, which is helping provide emergency food relief in Malawi. Online via our secure donation page. Phone 416-231-5931 or toll-free 1-800-268-3781 ext. 2738 and use your Visa or MasterCard. Please be sure to note "Emergency Response—Cyclone Idai" on the face of your cheque. Note: As part of the United Church's Emergency Response Fund, 100% of your donation goes directly to emergency relief with 85% of your donation responding to this designated emergency and 15% responding to future emergencies that do not receive intense media coverage. Donations to Mission & Service enable the United Church to cover all of the costs of emergency response work without deducting any fees from your donation. Please pray for those impacted by Cyclone Idai and give to emergency relief efforts. A bulletin insert and a slide are available under Downloads, below.